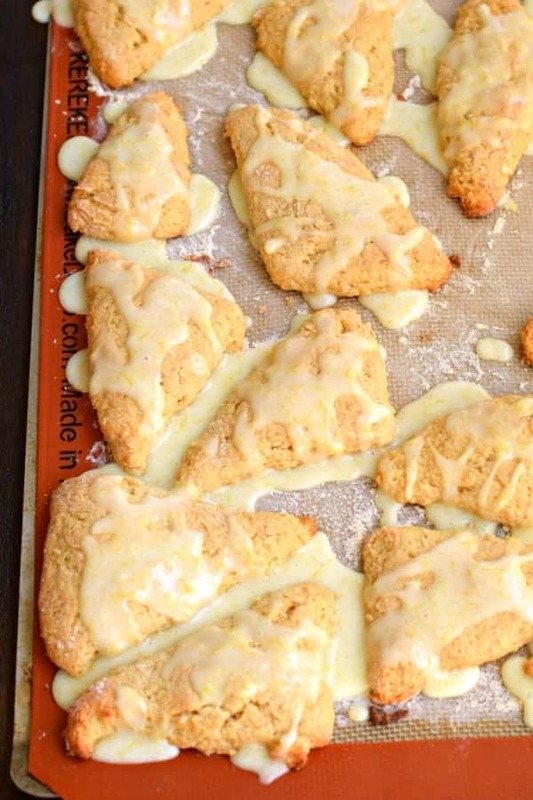 No trip to a fancy bakery needed to enjoy these Lemon Scones. Simple ingredients, a little love, and you’ll have a batch of these freezer friendly scones in no time! I seem to be on a breakfast roll right now….give me all the breakfast pastries please! If you follow me in instagram (and watch my stories) you’ll see there is more coming too! Several years back I made these Orange Scones. 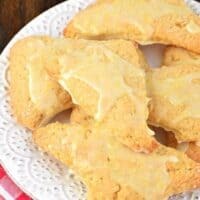 They are a copycat version of the Panera Bread Orange Scones that I love and crave! 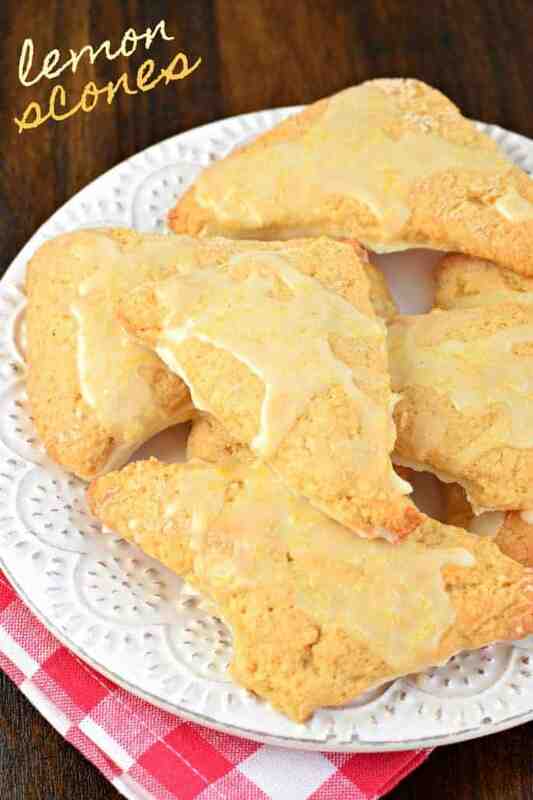 I’ve been meaning to make a Lemon Scone recipe for years…and never got around to it…until now! 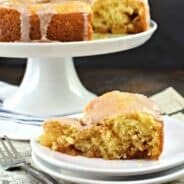 Lemon Cupcakes, Lemon Cake, Lemon Biscotti, Lemon Loaf, Lemon Cheesecake, Lemon Curd, Lemon Hand Pies, Lemon Fudge, Lemon Cookies…and then there are all the recipes with lemon AND another ingredient…but I won’t list them all. You get the gist, I hope. I heart lemon recipes. 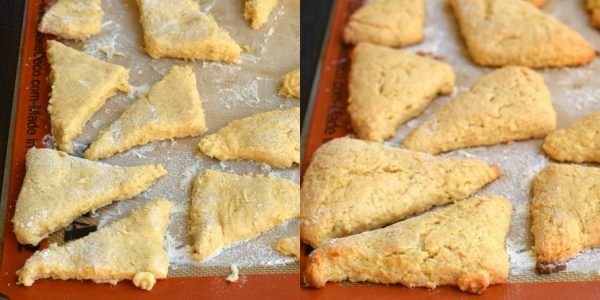 Making scones is actually very easy and you don’t need a special scone pan. Just assemble and pat it with your hands. Use a pastry cutter (or pizza cutter) to make your triangles. And for all things pure and holy, don’t skip the glaze. Scones aren’t an overly sweet treat…so it’s the glaze that adds the right amount of sweetness to this breakfast pastry. 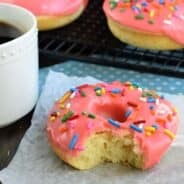 I mean, you can make LESS glaze, but don’t skip it all together please. K, thanks. ENJOY! 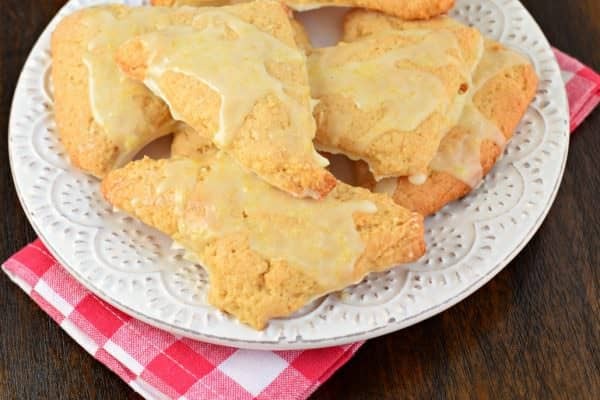 No trip to a fancy bakery needed to enjoy these Lemon Scones. Simple ingredients, a little love, and you'll have a batch of these freezer friendly scones in no time! Add in egg, yogurt, lemon juice, and lemon zest. Combine completely. Using a large knife or pizza cutter, slice dough in half then cut into halves again, (vertically), creating four rectangles. Slice dough horizontally once through center. You should now have 8 rectangles. Cut each rectangle in half to make 2 triangles. You will be left with a total of 16 triangles. Separate them on the baking sheet, using a little extra flour if needed to keep them from sticking! Bake in a 350 degree oven for 35-40 minutes. Remove and cool completely before glazing. 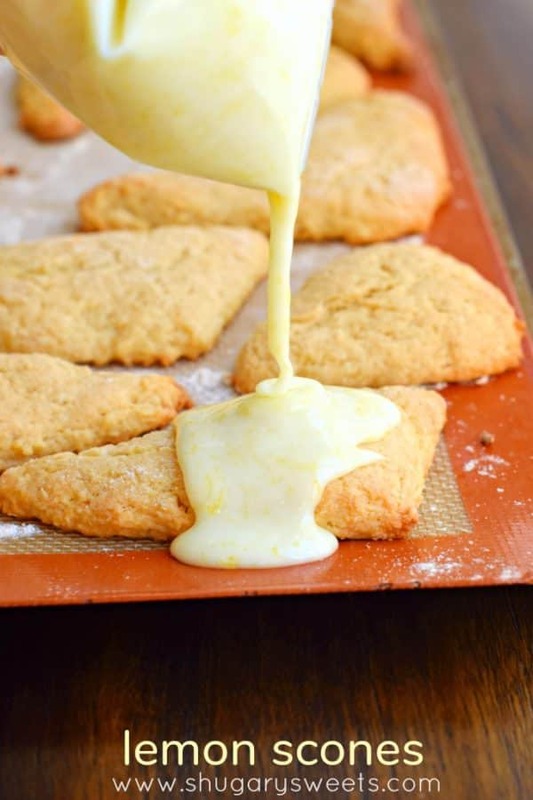 For the glaze, whisk together the powdered sugar, milk, and lemon zest. Spoon glaze over each cooled scone, allow to set, about 15 minutes. Store in an airtight container for up to 4 days. ENJOY! I can’t resist a good scone! I would love to have one of these in the morning with my coffee! Yum! 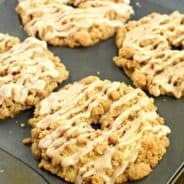 You have some great lemon recipes! They look great! Can I was regular yogurt? Ok, I absolutely HATE Greek yogurt. Is the taste going to strong, and if so, can I sub regular vanilla yogurt? I am a seasoned baker and have made many of your recipes with great success but these were a colossal failure. This dough was really wet so clearly something went wrong. I double checked my measurements which were correct so I am hoping you might have some insight for me. It seemed like I could have added another whole cup of flour or more. Help! I would like to try these again. It is a very sticky dough. So when you pop it onto your work surface, you add just enough flour to make it workable. Having made this numerous times, I’ve added anywhere from 1/4 cup to 3/4 cup depending on humidity in my house! Hope that helps!